Gov. John Kasich said Tuesday that instead of covering up CAT overpayments, the state would refund the money to affected businesses. Halting years of what Gov. 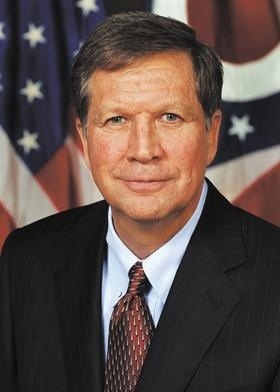 John Kasich called rip-offs of Ohio businesses, the state has started returning more than $13 million to companies that overpaid their commercial activity tax and were never notified about it. He credited state Tax Commissioner Joe Testa for bringing his attention to the problem and reversing a longstanding policy of keeping quiet when companies overpaid the tax that is imposed on their gross receipts. The tax generated $1.65 billion in fiscal 2012. Testa, a former Franklin County auditor who has been tax commissioner for nearly two years, said businesses had to discover the CAT overpayment themselves. The state kept the money if businesses failed to report the overage within four years of filing their tax return. The state Department of Taxation has begun sending refunds ranging from $150 to $66,000 to about 3,500 businesses, Testa said. More refunds may be made as the department continues to review tax filings in search of overpayments. Kasich seemed dismayed that it was the state’s practice to not notify a business that was owed a refund. Kasich said his administration plans to review other business taxes as part of its effort to boost the efficiency and effectiveness of state government and improve Ohio’s business climate.